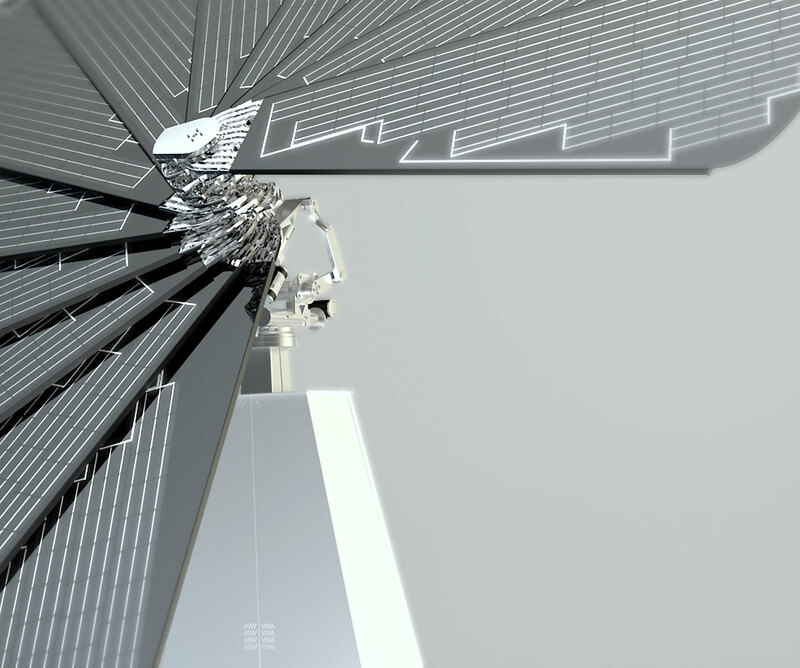 with a highly visible and beautiful solar solution. Smartflower is the purest way to demonstrate your corporation’s core values and commitment to sustainability. 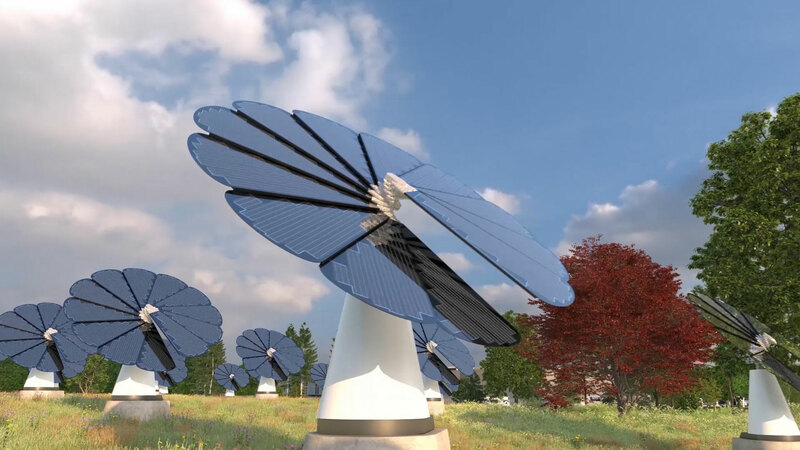 Consider one unit or a field of Smartflowers. Start producing clean, sustainable energy for your operation to help meet your renewable energy goals. 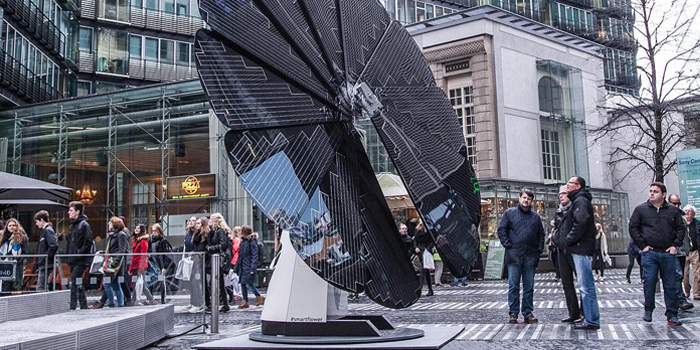 Demonstrate and communicate that your brand stands for renewable energy to engage and invigorate your community. 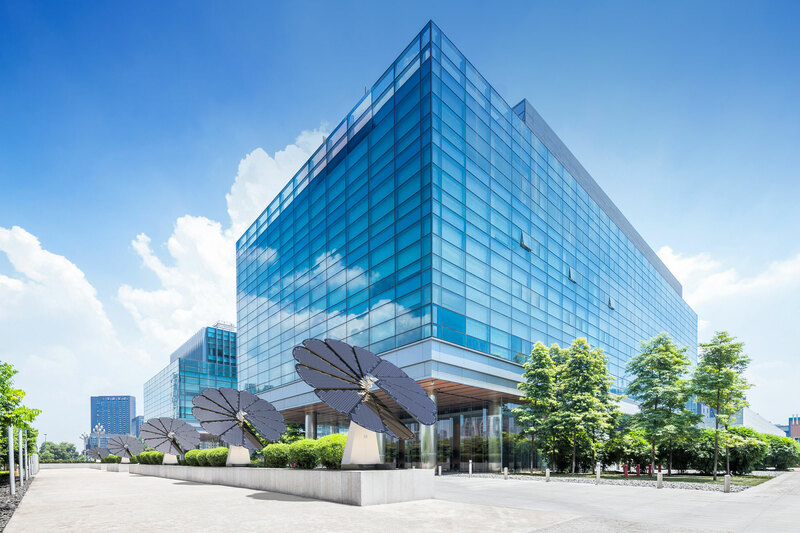 Go beyond LEED certification to demonstrate your company's commitment to clean energy. Smartflower can be a powerful and unique advantage across all industries. The Botanical Gardens in Madrid, Spain offers children and teens an outdoor learning space called Nature’s Classroom. 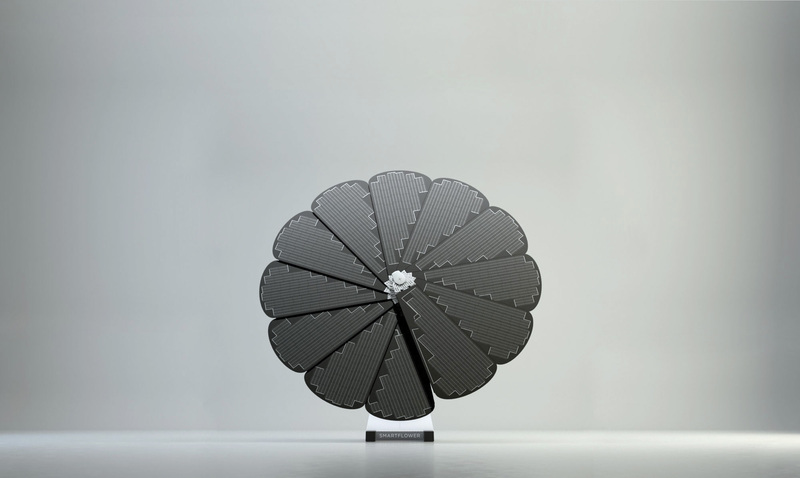 SmartFlower produces power needed to run activities throughout the day. 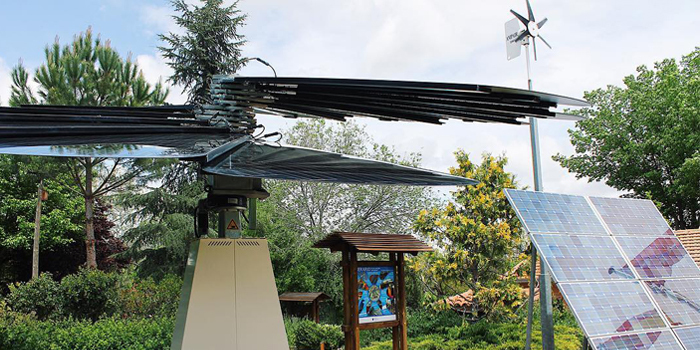 Teach children the basics of solar energy in a hands-on and engaging manner by inviting them to witness the solar tracking movements of the Smartflower. This city catalyzed a community movement for green energy as part of their wider sustainability goals. They were also able to offset the initial costs and create a recurring revenue stream by selling sponsorships of the unit. Local government can lead the way to a sustainable future by setting a highly visible example for renewable energy in their communities. 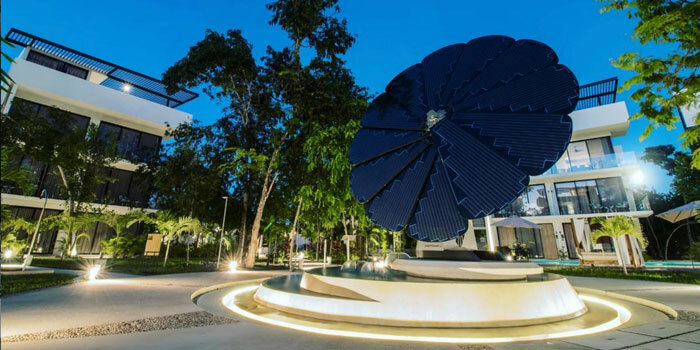 Los Amigos Tulum is taking the lead on sustainable luxury developments by installing a Smarflower in the center of their resort. Resorts, hotels, and restaurants can power their operations, even in remote areas, while demonstrating their environmental commitment to their guests. 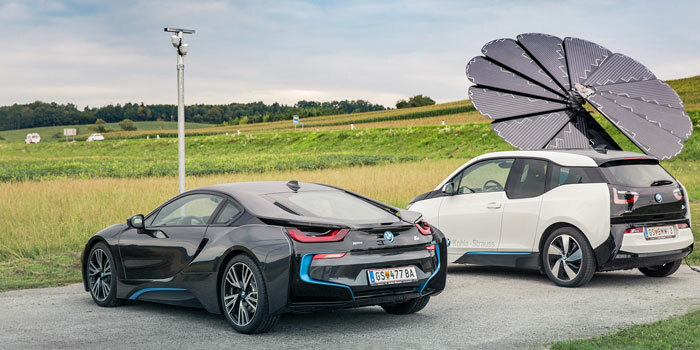 Thanks to SmartFlower, a car dealer in Europe reduces its environment footprint and saves on its electricity bill by using the sun’s energy to help power their brightly lit showroom and their cars..
Instantly signal what your business stands for to potential customers, while reducing energy costs at your retail locations. Take the lead in creating a sustainable future. Any business or governmental organization doing its part to move toward a clean energy future should be proud to demonstrate that commitment. of global consumers expect companies to address environmental issues in their business practices. of consumers ages 15-35 are increasingly willing to pay more for products and services from companies committed to sustainability. Find out how your organization can harness the power of Smartflower.